The Risti railway station was a stop on the Tallinn - Haapsalu line. The railway line was in a state of disrepair and was finally closed in 2004 (though the last passenger service ran in 1995). A fate that befell several railway lines in Estonia. 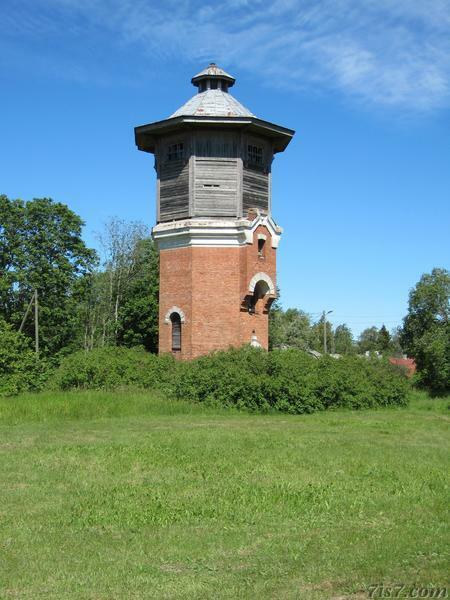 As a reminder of times long gone, the old water tower and water crane to service steam trains are still there. 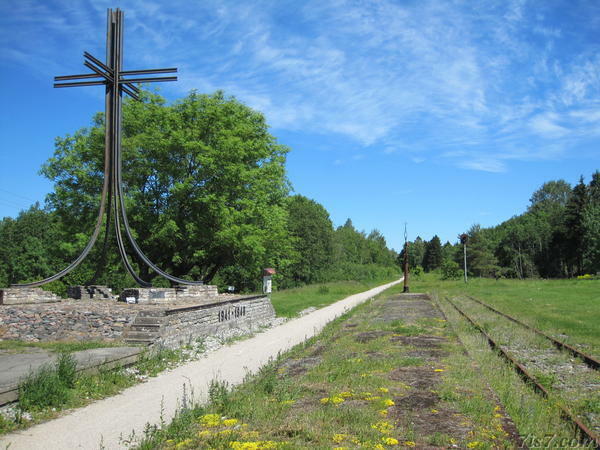 A monument was erected in memory of those who where deported to Siberia through Risti station. Most of them during in June 1941 and March 1949. 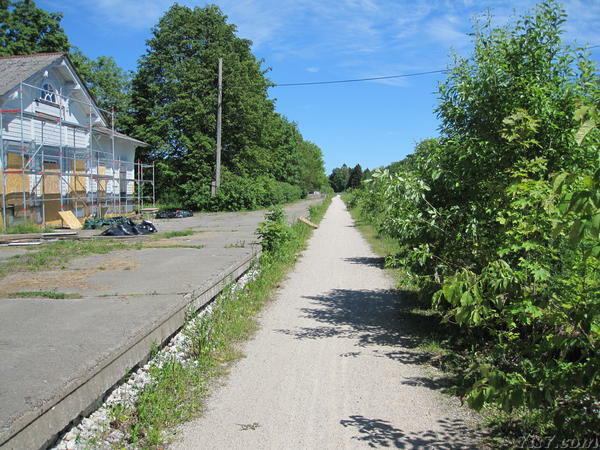 In the hope of preserving the track for a possible future rebuilding of the railway line, the main track has been converted into a bicycle road. 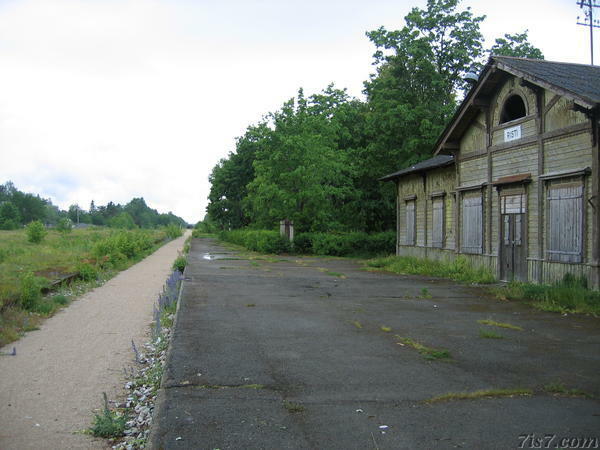 In the photos below you can see the bicycle path pass the platform of the former Risti railway station. In June 2012, see photo above, the station building was being renovated. 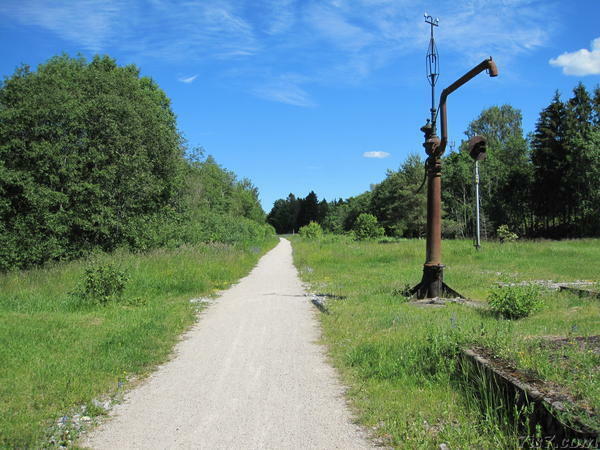 Compared the photo below from 2008 we see that plants have grown a lot along the former railway track. The former railway line ends at Haapsalu Station, which is now a railway museum. Location: 58°59'51"N 24°2'56"E on: Google Maps, OpenStreetMap, Maa Amet.